If you’ve decided to undertake your own landscaping project, then Everlast can still help make your job run smoothly; we are the perfect place to get all the landscaping supplies you’ll ever need, from landscaping rocks through to steel and fencing materials. We own and operate our very our steel fabricating factory, located in Melbourne’s west, in Hoppers Crossing. This means that we can supply all types of steel and aluminium at unbeatable prices. Best of all, because we make all these products ourselves, you can rest assured that is is of the highest quality. Aluminium fence panels: manufactured by hand at our very own factory, our panels are the complete package. They look good and create a sleek finish that you’ll love, plus they stand the test of the time. There’s really nothing that you won’t love. Swimming pool fencing: Available in just about any design or colour you could possibly need, our swimming pool fencing is the strongest on the market. We use fencing constructed out of the toughest aluminium rods. Aluminium fencing won’t rust in Melbourne’s harsh climate, leaving your pool and garden looking pristine for years. It also means that you won’t spend hours painting and repainting your fences; you’ll actually have the time to enjoy your pool. 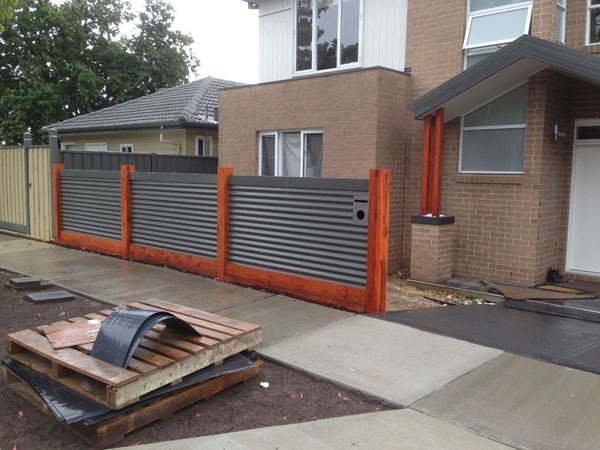 Driveway gates and automations: our driveway gates are the strongest in Melbourne. We manufacture them direct in our factory, making them as strong as they can possibly be to give you peace of mind. With our gates installed, you know that your family and property is safe at any time of the day or night. Fencing supplies: Our range of fencing is second to none. It includes the biggest range of hinges imaginable, every type of lock you could ever need, mailboxes in every shape and size, screws, caps, nuts, bolts, nails, and more. Why Select Everlast for Landscape Supplies in Melbourne? We’re proud of our reputation for absolute quality. You can be sure that any landscape supplies you purchase from us will be of the highest standard. We manufacture all steel products at out steel fabrication plant in Hoppers Crossing, which means we can pass savings on to you. We have all the supplies you’ll ever need, from landscape rocks to fencing and steel. Everlast also makes timber products such as decking and fencing, which we hold to our same exacting standards. We are 100% Australian owned so your choice to use us is a choice to support a locally owned business.